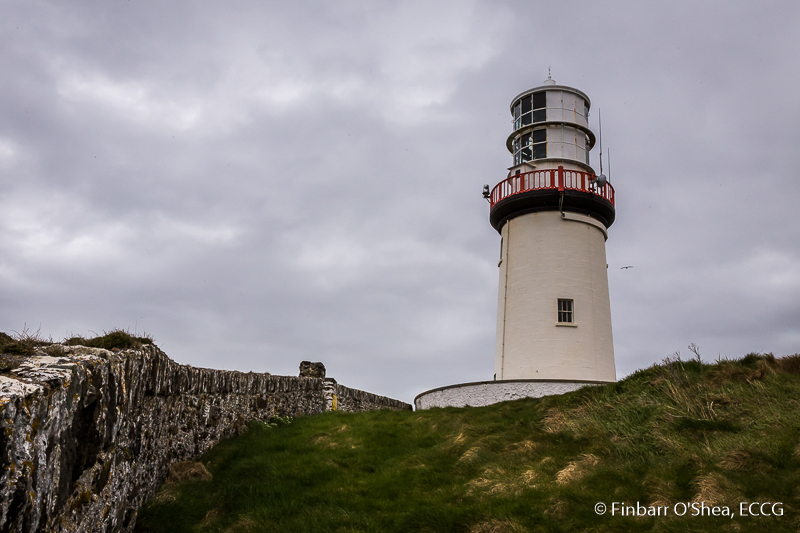 Continuing our Lighthouse project, ECCG travelled to Galley Head near Clonakilty in West Cork on Sunday 17/04/16. Perched on the southern most point of a 40.5m (133 foot) high headland known as Dundeady Island, the the 21m tower stands 53m over Mean High Water Spring. 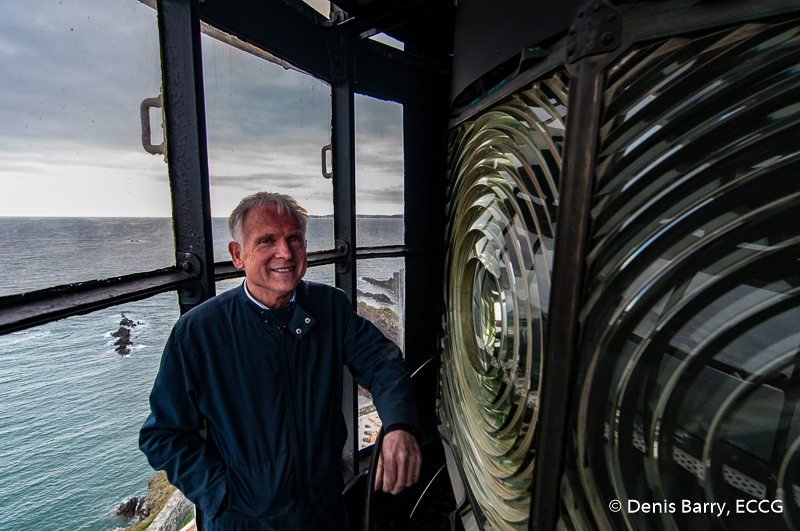 Attendant lightkeeper, Gerald Butler, was on hand to give us the grand tour of the installation and entertained us with an in depth talk on his career as a Lightkeeper on various lighthouses around the country. Steeped in the Light Keeping tradition, both of Gerald's grandfathers, both parents, uncles and brother were all Lightkeepers so it was inevitable that he would enter the service himself. 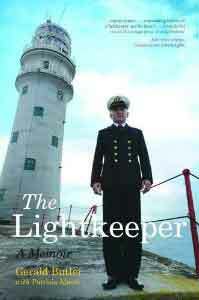 On retirement, Gerald committed his life story to print in the book 'The Lightkeeper' in which he recollects the terrible traumas of crews battling for their lives on mountainous seas in horrendous stormy conditions. He describes in detail the tragic 1979 Fastnet Yacht Race which involved 3000 competitors and more than 4000 rescuers, and in which he played a vital role as lighthouse keeper on the forbidding Fastnet Rock towering over the storm struck vessels as they struggled for survival. The book is a fascinating read and is available here. We were really hoping to get a sunset on our trip to Galley Head but it wasn't to be on this occasion - a ready made excuse for the return trip! See a gallery of images from the shoot here. Enjoy! This entry was posted in Shoots and tagged Clonakilty, Cork, Galley Head, Lighthouse, Rosscarbery by Denis Barry. Bookmark the permalink.